Great news Lizzie Fisher has been found safe about 2 hours ago. We would like to thank everyone who reached out and helped in this situation. Great job Westville PD! We are needing help finding a student that has been missing since last night. Lizzie Fisher is the student and if you have any information please contact Westville PD at 918-723-5101. Thank you. 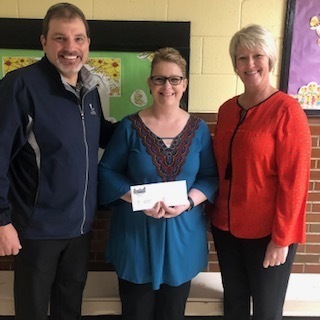 The Westville Elementary Staff would like to say thank you to Trina Burdge on behalf of WoodmenLife Chapter 1219, for the Teacher Appreciation gift. We appreciate the thoughtfulness! The varsity soccer game times have changed for tonight. Varsity girls will play at 4:30 and Varsity boys will play at 6:30. Congratulations to our National Board Certified Teacher, Tabitha Braden. We are honored to have you as a Yellowjacket! 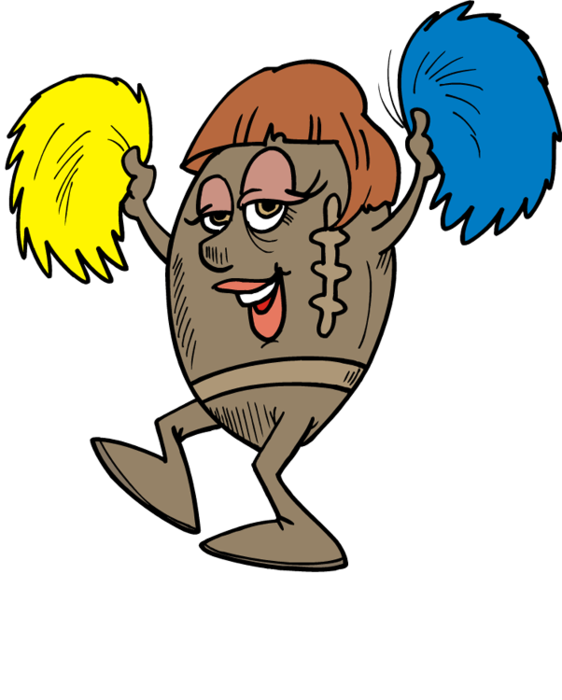 Students and parents of students who are participating in junior high cheer tryouts if you received a CD that will not play you may pick up a new CD from Mrs. Williams or contact Mrs. Williams to make arrangements through the elementary office from now until 8 pm tonight or tomorrow (March 15th) between 9 and 11 A.M. 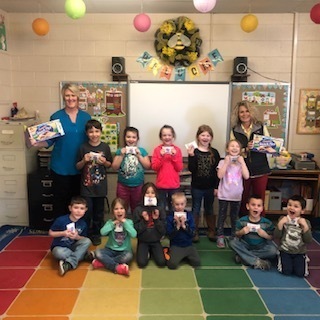 Thank you Little Debbie for helping our Elementary Students celebrate Pi Day. What a fun way to end our week! WHS track athletes will be competing in the track meet at Claremore HS today, not Hominy. Check out this story. Tori is a member of our WHS alumni! #jacketpride #brassring #proudofyou https://www.baylor.edu/law/news.php?action=story&story=207619. Pre-K enrollment for the 2019-2020 school year will be held on Thursday, March 14th from 9:00 a.m.-6:00 p.m. To set up an appointment please call the Elementary office at 918-723-3351. Parent Teacher Conferences will be held on Thursday, March 14th from 4:00-8:00 and Friday, March 15th from 9:00-11:00. To set up an appointment please call the Elementary Office at 918-723-3351. Westville Public Schools will be in session on Tuesday March 5th. Please take precautions for students waiting on the bus or walking to school. It will be in the teens but the wind chill is not as bad. The forecast is to be above freezing by the afternoon. Westvile Public Schools will be closed on Monday, March 4th due to the extreme cold temperatures and wind chill. Reminder - All spring and sports picture orders must be turned in by March 5th. FRIDAY, March 1st Baseball at Hulbert at 4:00 Soccer at. Inola (JH 5:00)(JVG 6:30) March 1- Graduate Sales will deliver senior items. If you have not paid in full, you will need to bring the money that day. They should text you the amount owed the night before or you can call them at 479-444-8822. Virgil Wilkie Scholarship - DEADLINE MARCH 1ST You can pick up an application from Jodi or on the school website on the scholarship page. SENIORS: The WHS Scholarship application is available. The link is on the school website under JH/HS-Scholarship/Financial Aid. The deadline is Friday, April 5 th . See Jodi if you have any questions. 4H students in JR and Intermediate division attending the food show will need permission slips and supplies tomorrow and be leaving at 8:20. The Senior division will be competing Wednesday. Westville Public Schools will return to school tomorrow. Please remember you must be fever free without medication for over 24 hours to return to school safely. Westville Schools will be closed on Monday, February 4 due to sickness of staff and students. Westville schools will be closed on Friday, February 1, due to illness. The 3rd and 4th grade basketball games at Stilwell have been canceled tonight. The JH basketball games at Kansas tonight will be 7-8 girls in old gym starting 4:30 and 7-8-9 boys in new gym starting at 4:30. The 7th & 8th Basketball games will be starting at 4 pm tonight at Stilwell. Please plan accordingly. Thank you. The 7th & 8th grade basketball games with Zion are canceled for tonight and will be rescheduled. Westville Schools will be closed on Thursday, January 3rd. 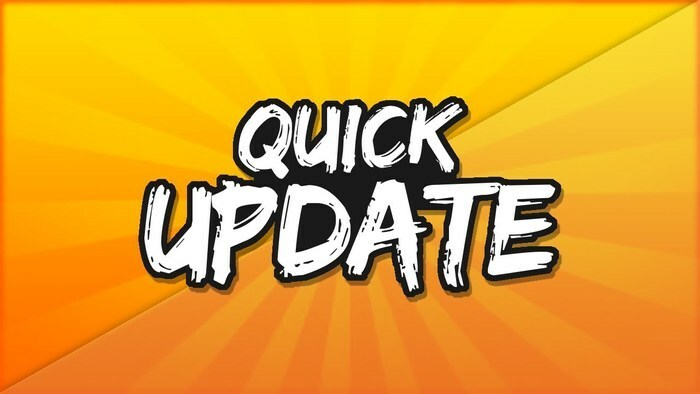 After a false alarm concerning a suspect in the area of the school and a short precautionary lock down at school, the Westville PD has given the all clear. Everyone is safe and secure. Westville Ministerial Alliance will be providing Christmas Baskets to families on a first come first serve basis tomorrow, Tuesday December 18th at the First Baptist Church beginning at 9:30. 100 baskets will be given away. Our area churches wanted to provide these baskets to our families. Merry Christmas to all! Game Time Update - 12/17 JH Basketball tonight at Keys will be as follows: 1. 7th boys 2. 7th/8th girls (both grades combined) 3. 8th boys 4. 9th boys First game starts at 4:30 in the high school gym. Just a short while ago our "White" bus (Clearfork) was involved in a small accident where another car was hit into them. No injuries have been reported and the students will be home safe and sound soon. Again, all of our students are ok! There is no 3rd and 4th grade basketball game today. It has been canceled. The school's social media pages will be unavailable during Thanksgiving break so that our volunteers who monitor the site can have a short break and enjoy the holidays. Happy Thanksgiving YellowJackets! Parent University has been canceled tonight due to the weather. Stay safe. ELEMENTARY RED RIBBON WEEK DRESS UP DAYS: Monday-We "Mustache you to be drug free" Students can wear mustache anything, shirts, socks, accessories...help your kids find their debonair style. Tuesday-"War on Drugs" Wear camo Wednesday-"It's CRAZY to do drugs" Students can dress "crazy" have fun and be creative with your creative outfits, (mismatched outfits, clothes, socks, shoes, hats hairstyles backwards.) OR Students may dress as a story book character. Thursday-RED OUT DAY! Friday- No School Students may wear hats by paying $1 to the Elementary Office each day. Due to Parent Teacher Conferences there will NOT be Extended Day today. Tomorrow is National walk to school day. You are welcome to join as as we drop off bus students at the First Baptist Church parking lot at 7:45 am and walk to school. 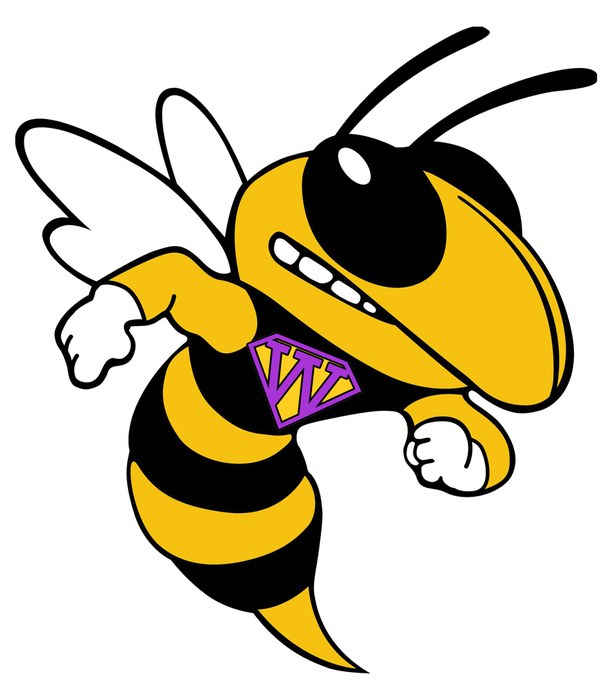 The Westville Yellowjacket spirit parade and pep assembly will start at 6 pm and wind through town and end up at the football field for the pep assembly. Parent University will be held tonight at the Impact Church at 6 pm. Child care and dinner will be provided. 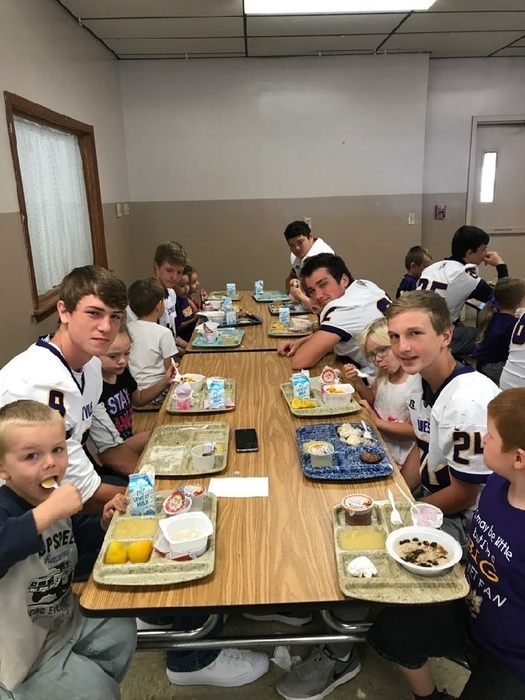 TIME CHANGE - The JH football game at Colcord on Tuesday, October 9th (tomorrow) will start at 5:00 p.m. instead of the original time of 6:00 p.m.
No Elementary cross country meet at Maryetta tomorrow. Elementary Fundraiser Jewelry should be sent home in the next couple of days. Images of the catalog will be posted on Facebook and at www.westville.k12.ok.us to help with finding item numbers. Westville schools will be closed on Friday, October 5. We will have several staff gone that day attending the State Volleyball tournament. We will replace that instructional day on Tuesday, November 6. We were going to be out of school on Election Day. The football game vs Panama has been moved up to Thursday night at 7 pm. The homecoming and parade have been postponed until later date. Softball Senior night will be at approximately 5:30. The Jackets will take on the Colcord Hornets at 4:30 p.m. and play a double header with senior night honors between the two games. Reminder - School will not be in session tomorrow, September 14th for staff professional development. Parent University will be held tonight at 6pm @ Impact Church. 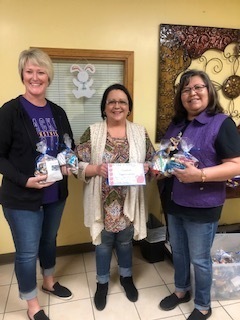 OSU ext office presents Real Colors with dinner and child care provided. Don’t forget to go vote tomorrow!!! Elections matter. Your vote matters. All polling places should be open. Congrats to our 2018 People’s Bank Champions!!! Westville Lady Jackets softball!! Don't forget. Tomorrow (Wednesday, August 22nd) is picture day at school! Attention Parents and Guardians of junior high students: Letters are being mailed today and sent home with students who are not current with the T-Dap immunization. Please watch for this notification. Any student who has not taken the vaccine or submitted an exemption by this Friday, August 24th, will be sent home. Thank you for taking care of this important matter. 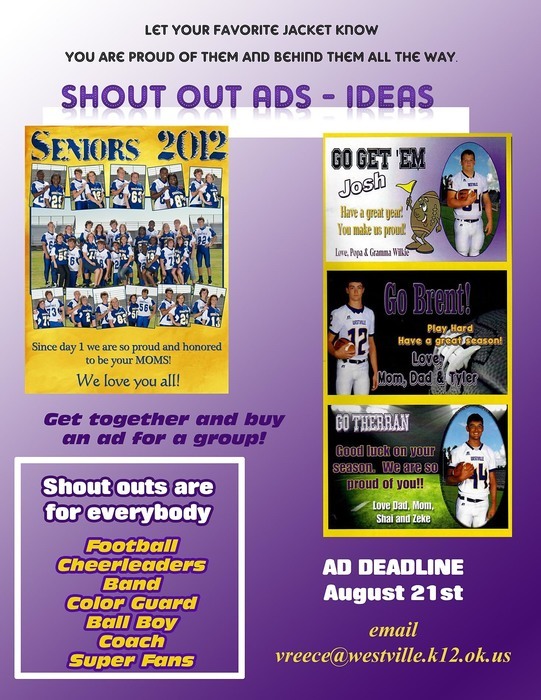 It's time to send in your advertisements and shout out ads for the 2018 Football Program. The full-color program will feature football, cheer, band, color guard, softball, volleyball, and more. Message here or email vreece@westville.k12.ok.us with questions or ad info. Parent University will be held tonight at Impact church at 6 pm. Child care will be provided along with hot dogs and chips. All FFA and 4H students need to bring your Adair County Fair entry forms with tag #s, registration and birthdate of show animals. They are due at county Friday, August 10. If you are showing at Ft Smith also need social security number. Please bring to school tomorrow. Just a quick reminder - There will be a short informational meeting today for 7th grade students and parents during Meet the Teacher. It will be held in the auditorium at 5:00 p.m. and door prizes will be given. We'll see you there! CORRECTION! 5th and 6th softball practice 3:30 Wednesday! We would like to invite all 7th grade students and their parents to an informational meeting on Tuesday night at 5 during meet the teacher. We will discuss how to be successful in junior high and answer any questions about transitioning from elementary to the junior high. More details to come. Goingsnake Soccer 2018 fall registrations are being accepted until Thursday, August 9th. Forms are available at People’s Bank and during Meet the Teacher Night at school. 5th and 6th grade softball will meet in the little gym from 10 until 11 tomorrow. Elementary Class Lists for the 2018-2019 school year are now available on the school website! Softball players in grades 7-12 need to meet at softball field on Thursday, July 26th at 10 am to meet our new coach Myron Bolin. Westville Pony League is still taking sign ups for youth football this year. Call Dan Jacob @ 918-575-2878 or Carla Kindle @ 918-207-6875. 4th grade fees will be waived. Westville Boots and Badges Blood drive will be held today in Westville school cafeteria from 11 am until 6 pm. Save a life donate blood today! Elementary Supply Lists for the 2018-2019 school year are now available on the school website! 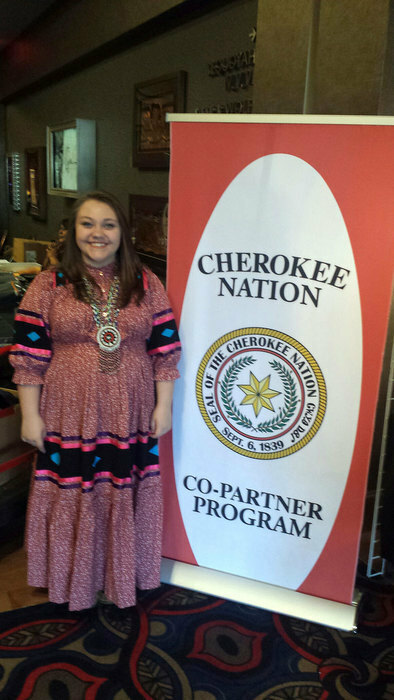 Tomorrow, June 29th, is the deadline to apply for the Cherokee Nation clothing voucher program. One requirement is a proof of enrollment letter from the school. The school is not open on Fridays during the summer so if you havent gotten your letter yet, see Jodi Simmons today and she will help you out. Election day is tomorrow! Go Vote!!! Your vote matters. Important state question and county questions on the ballot! Also important local races!!! Exercise your constitutional right to Vote! Great news out of the Supreme Court today!! The veto referendum has been declared unconstitutional! The taxes will stay and the raise will happen now!!! Have a great weekend!!! The new football coach, Ed Baker will meet with prospective players grades 7-12 and parents on Friday June 15 @ 6 pm in the auditorium. Staff may wear jeans the remainder of the school year!!! Thank you for all that you do. Staff may wear jeans all week for Teacher and staff appreciation week!!! Thank you for all that you do. Putting On the Hits Elementary performance will be Monday, May 7th at 9am. The cost is $1. The 2nd grade field trip to Battlefield Park in Prairie Grove has been rescheduled to Wednesday, May 9th. The 1st grade field trip to the Tulsa Zoo will be tomorrow, May 3rd. Calendar changes are official. We will be in school on Friday, May 4 and out of school on Friday, May 18 for graduation with the last day of school of school Wednesday, May 23. CALENDAR CHANGE: Westville Public Schools WILL be in session on May 4th (previously listed to be closed) and we will NOT be in session on May 18th; the last day of school for students will be May 23, 2018. Summer School Enrollment Forms are available in the Elementary Office for current PK-8th grade students. The deadline to turn forms in has been extended to May 17th. 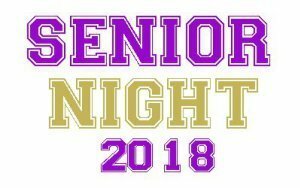 Senior night for our soccer and track students will be held tomorrow night (4-20-18) at 7:00 p.m. at Akin Langley field. Elementary Spring Pictures will be sent home with students today, 4-18-18. Summer School Enrollment Forms are available in the Elementary Office for current PK-8th grade students. Forms are due on April 27th. Baseball Senior Night will be held tomorrow, April 16th, at 5:30 p.m. The gifted and talented trip scheduled for tonight has been canceled. Westville schools will be closed on Tuesday April 10 but will be OPEN ON Wednesday April 11 and sending a delegation for as long as necessary. Reminder JH track will be traveling to Alma tomorrow (Tuesday, April 10th). 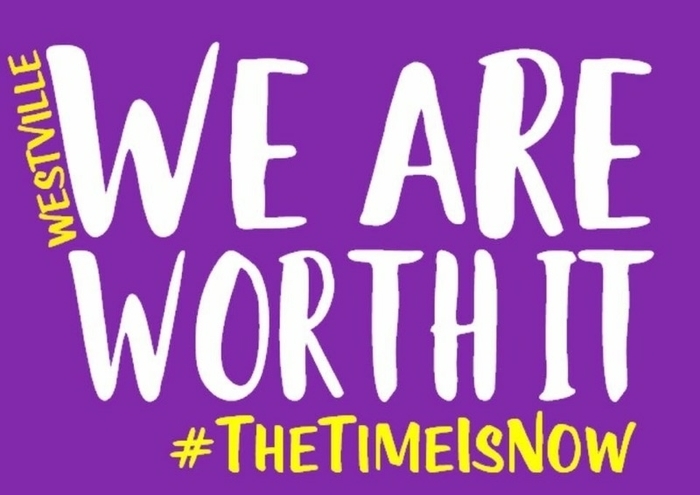 The bus will depart at 1:50 p.m.
Westville Public Schools will be closed on Monday April 9th for our faculty and staff to advocate for education funding. 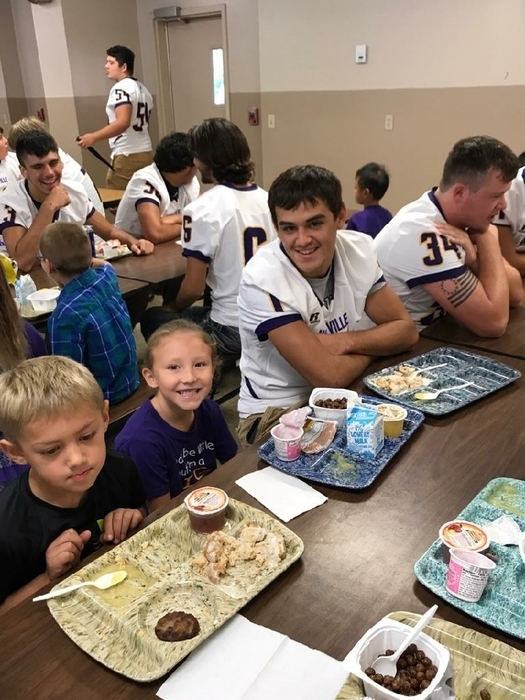 Breakfast and lunch will be available at the school for those age 18 and under. Westville Schools will be closed on Friday April 6. Breakfast and lunch will be served in cafeteria. Westville Public Schools will be closed on Thursday, April 5. We will once again serve breakfast and lunch. We have students at the Capitol and students with signs here at home in front of the school. We think they are pretty awesome! Westville Public Schools will be closed on Wednesday April 4th. 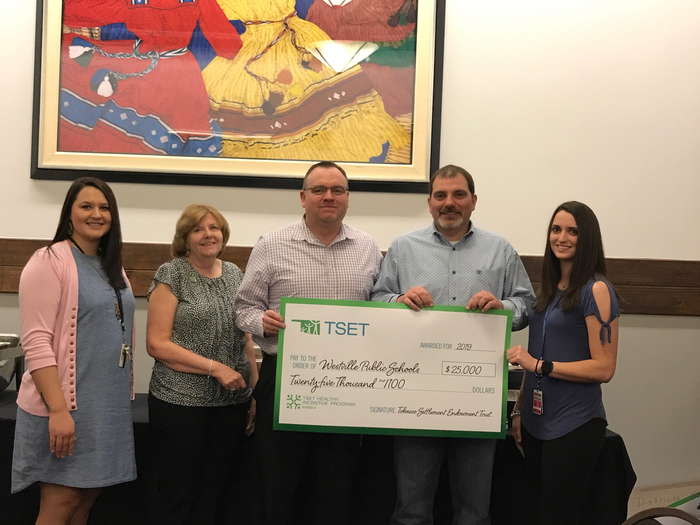 Once again to let our teachers advocate for more funding. Breakfast 8:30-10 and Lunch 12-1:30 will again be served to 18 and under. All extracurricular activities will gonon as scheduled. You must be 18 and younger for breakfast and lunch. Westville schools will be canceled on Tuesday April 3. Teachers will be rallying for eduaction funding for our schools. Breakfast will be served from 8:30-10 and lunch from 12-1:30. The ACT will be given to juniors in the HS classrooms at 8:15. ATTENTION: There has been a schedule change for JH Track. We ARE going to have a meet at Claremore Sequoyah TOMORROW (Tuesday). We are LEAVING at 7:15, returning approximately at 5:30, this is 7th/8th grade only. Westville Schools will be out of school on Monday April 2. We will be in school on Tuesday, April 3 and send a delegation as needed. "Reminder JH track will NOT be participating in the Adair track meet today 3/29." Soccer Update - The tournament at Stilwell was canceled. It is now going to be held at Collinsville. Girls play tomorrow (Thursday) at 2:30, boys at 5:00. Friday is TBA. 3/27/18 - The baseball games scheduled for today have been rained out. We do not have information on rescheduling at this time. 3/27/18 - Tonight's soccer game has been rescheduled for Monday, April 23rd. Westville Public Schools WILL be in school this Friday, March 30th. We will NOT be in session on Monday, April 2nd. This will allow our teachers to travel to the Capitol on Monday to show support for better wages and school funding. More information concerning the possibility of additional days for the walkout will be available after the school board meeting later this week. We will be joining in solidarity with other schools in honoring our teachers this week. Monday is wear blue in honor of students! Staff may wear jeans all week and we ask our students to join in as well! The rest of the week will be posted on school social media. Reminder of All staff meeting at 8:30 in auditorium. The Elementary Backwoods Fundraiser is here! If your student turned in an order, it will be available to pick up in the Elementary Office on Thursday March 14th. Please fill out the parent survey concerning the teacher walkout/school closure. It can be found on the school facebook page as well as the school website under News. The Amber alert has been canceled. Ruger Cole is safe at school! JH cheer sign-up sheets are in the JH office. There will be a mandatory cheer meeting in Mrs. Williams’ room (kindergarten bldg.) Tuesday, March 13th at 12:15 for those who want to try out for cheer next year. March 30th is the deadline for the Westville Youth Football and Cheer sign-ups. Forms are located at Kwik Kountry. Sign up fee can be paid at a later date. Jerseys will be ordered in April and pictures will be taken in June. We still have 2016-2017 Elementary yearbooks for sale in the Elementary Office for $20. Parent Teacher Conferences have been moved to the following dates: March 15th 4pm-8pm March 16th 9am-11am. School will be in session on March 9th. The Westville Yellowjackets varsity basketball team ended their season tonight. Wenwould like to thank the players and coaches for all their hardwork this season! Goingsnake Spring Soccer Sign-ups are still going on for U6 and U8 teams! The deadline is Feb. 23rd. Registration fee is $50. This includes state fees, insurance, and jerseys. Players will need soccer cleats, shin guards, black soccer socks, and black shorts. Applications may be picked up and dropped off at People's Bank. Thank you! The regional basketball games scheduled for Thursday have had a time change. The games will be played at 3:30 And 5:00. Reminder - There is no school tomorrow and Monday. Friday is a scheduled day out and Monday is a Professional Development day for faculty and staff. Important Update. The road conditions have been reevaluated and with refreezing and the condition of our sidewalks and parking lot, we are reversing our decision made earlier. There will be no school tomorrow, Monday, February 12th. Our students' safety always is our first priority. The senior night game with Colcord will still be played. We are having school tomorrow. There are a few slick spots on Chewey Road and Oak Hill as well as on the bridges and overpasses. Please be careful as you travel to school. Due to the possibility of incoming weather, the varsity basketball games and alt school classes have been canceled tonight. We are planning to reschedule the bb games at a later date. Oklahoma Indian Honor Society applications are available in Mr. McVey’s or Jodi Simmons’ office. Students must be Native American and have a 3.9 GPA or higher to apply. Deadline is March 1st. 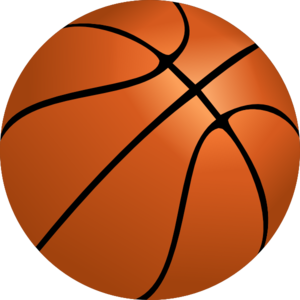 The 5th Grade Basketball Game vs. Peavine for Tuesday, January 30th has been canceled. 4th grade basketball will play at 10 and 10:45 at Stilwell tomorrow. Tech fest scheduled for tomorrow has been rescheduled for next Wednesday January 24. Westville schools will be open tomorrow. Please take precautions for the early morning wind chill temps. It should get warmer throughout the day. The junior high basketball game tomorrow night vs Zion has been canceled. Westville Schools will be open tomorrow. This is a reminder that on Tuesday and Wednesday the wind chill temperatures will be below zero. Please take precautions for your child to dress very warm. The 9th grade basketball game with Tahlequah Sequoyah for tonight has been canceled. Christmas Break will begin December 20th and students will return January 4th. Happy Holidays!! WHS Class Ring Delivery will be tomorrow, December 12th at 11:30 am in the Admin Complex. You must pay remaining balance with credit/debit card, Cash or Money Orders. NO CHECKS. Also, Seniors may order cap/gown/tassel if they haven't ordered yet. Staff may wear jeans tomorrow with the cold temperatures expected tomorrow! Staff: Tomorrow for PD there will be muffins in the cafeteria also for lunch we will have the sub sandwich Bar with a dessert available. The cost for lunch will be $2.50, or you can use your lunch number. 7th & 8th grade basketball teams leave at 3:15 and Freshman leave at 4:30 for games. Just a reminder - students get one more day of break. There is no school on Monday. The faculty/staff will report for staff development. Staff may jeans for the rest of the week!!! Happy Thanksgiving!! FAFSA NIGHT Where: Westville High School Library When: Tuesday, November 7, 2017 Time: 5:30-7:00pm (come & go) A financial aid representative will be available to answer any questions you may have while completing your FAFSA online. VETERANS DAY SPIRIT WEEK: Monday - Proud to be an American! Wear red, white, and blue Tuesday - Support Our Troops! Wear yellow Wednesday - United We Stand! Wear boots. Thursday - Home of the Brave! Wear camouflage. Friday - Salute a Veteran! Wear your “dress uniform” and dress your best. Elementary students will NOT be allowed to wear costumes to school tomorrow. Students are only allowed to dress up during party times if designated by grade level. 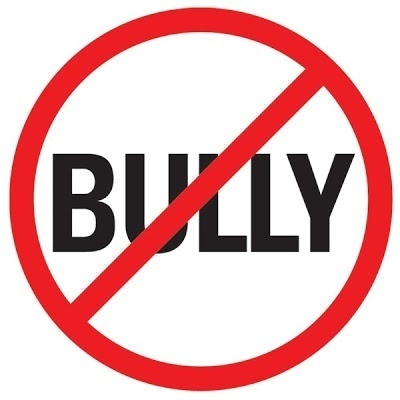 Elementary students may wear black or orange to participate in Pink Out week. Title 6 Elections will be held at 5:30 pm and JOM elections at 6 pm in the Admin complex on Monday October 30. Reminder - Monday is a Professional Development Day. Students will NOT be in school on Monday, October 23rd. There is no JV football game tonight vs Jay. All 7-9 football players are reminded to report to the gym to get jerseys at 5:30. Do NOT come any earlier as the coaches will be busy with varsity practice. Don't forget! The Jackets in Wonderland homecoming parade is tonight. Lineup starts at 5:30 and the parade starts at 6:00. The route will go downtown and end at the FB field for a community pep rally. The 2017 yearbooks are in!! All pre-orders may be picked up from Mrs. Williams in room 504. The cost is $40 for JH/HS and $20 for elementary. Contact Mrs. Williams if you have additional questions. Class Ring orders!!! Tuesday, Oct. 3rd. Balfour representatives will be in the cafeteria from 1:30-4 p.m. $100 deposit required. Anyone who is interested may pick up a catalog/order form in Mrs. Miggletto’s office. Westville Public Schools is taking applications for night janitor and cafeteria. Please apply in the Central office. The Band rental meeting for tonight is cancelled and will be rescheduled for a later date. 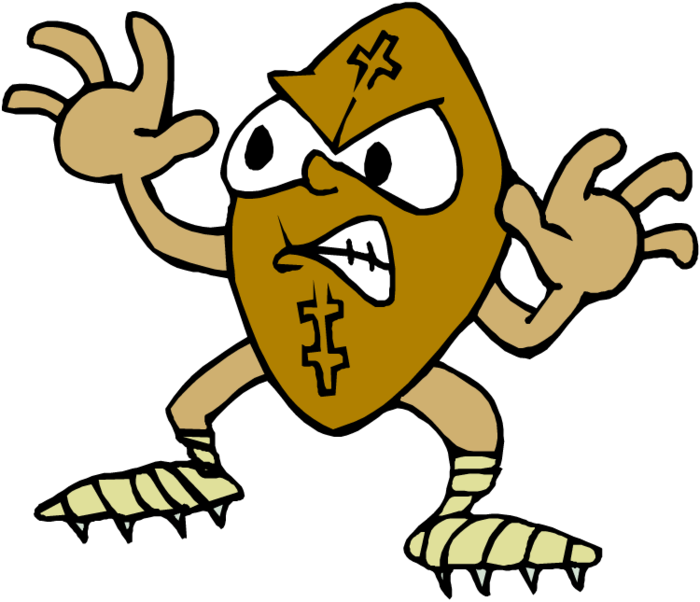 The junior high football game vs Colcord at home has been rescheduled for Thursday at 6 pm. Westville Yellowjackets hosting the Lincoln Wolves tonight at Akin Langley field at 7 pm. Come out and cheer on the Jackets!!! We just received word that the suspect has been located and we will run our normal bus routes. We have a man hunt underway in the Chewey area. Please be advised students will not be dropped off in that area. Students may be picked up at school or proctor community center or chewey store. School pictures are tomorrow 8/23/17! 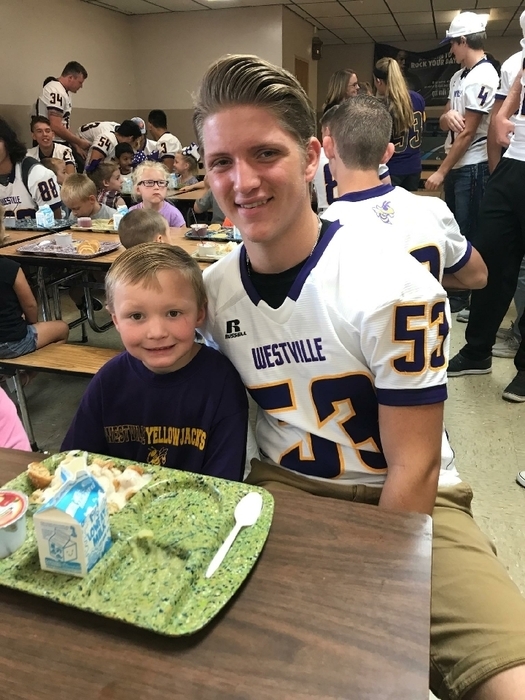 If you would like to sponsor the picture of a varsity player in the football program, please contact vreece@westville.k12.ok.us by Tuesday afternoon. Sponsorship is $15 and includes 3 lines of type under the picture. Westville Football scrimmage will be Friday night at 6 pm at Akin Langley Field. Admission will be $2 for adults and $1 for students. The junior high volleyball game has been canceled. The varsity girls will play at 6 pm. 7-12 football practicing tomorrow (Wednesday) from 2:15PM-5:00PM. We will be having an all staff meeting this morning in the auditorium. Westville Football Coaches are having another pee wee football camp tomorrow Friday August 4th. All grades including 1st and 2nd welcome. 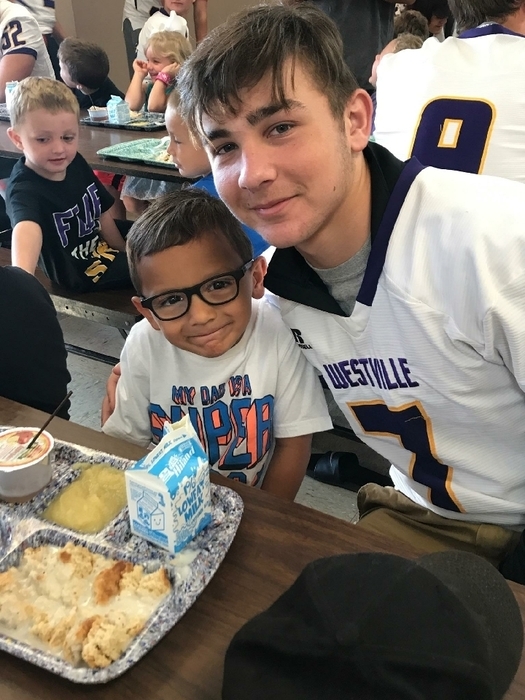 JH and Varsity Football schedules are posted at http://www.westville.k12.ok.us/o/district/browse/12413 We will upload the other schedules when we get them. For any girl going into 7th or 8th grade who is interested in playing softball, we will have our first practice on July 31st from 10:30am-11:45am at the high school softball field. Junior High Football 3rd quarter will begin at 7:30 pm tomorrow night based on the heat index. Westville Gun's and Hose's Blood Drive will be held on Tuesday, July 25th from 2 pm until 6:45 pm at the Westville Community Center. All Football players 7 thru 12 will workout tonight at 7 pm. Maryann (in the central office) will be available today until 3:30 p.m. to print enrollment verification forms for the Cherokee Nation Clothing voucher day. On Wednesday, Jodi Simmons will be back in her office to print the proof of enrollment forms for those of you who need them. Class Lists for the 2017-2018 school year are now available on the school website! Camp Cherokee students will be leaving at 7:45 on Tuesday. We will also be stopping at the Proctor post office for students from Chewey at 8:30. Times for rest of week will be announced Tuesday. No football team camp film tomorrow for varsity. The film has not been shared due to upload issues. 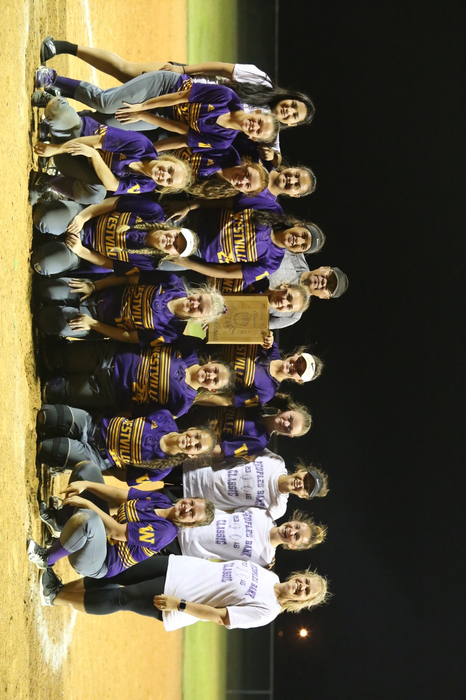 There will be a meeting at noon tomorrow (Friday, May 19) in the pep room for girls going into 9th - 12th grade who are interested in playing softball. 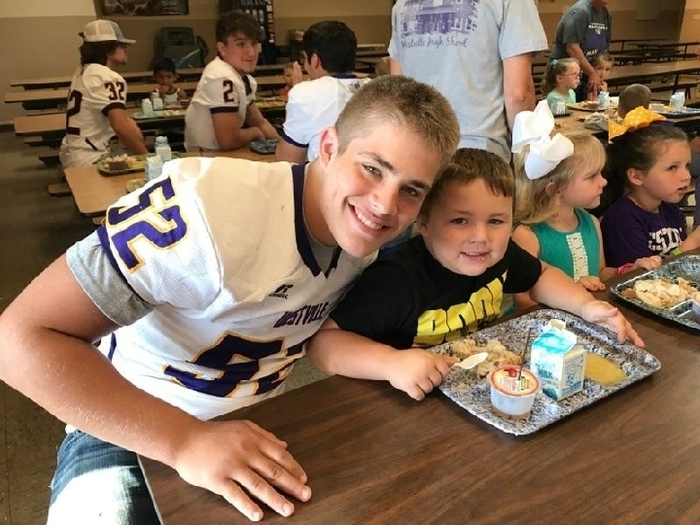 Activities and News for: Tuesday, May 16	Last Day of School *Senior Breakfast at First Baptist Church 9:00-10:00 *Senior Assembly at 10:00 in the auditorium *Special Olympics Summer Games at Stillwater *Girls Basketball (7th-11th) meeting in the gym on Tuesday, May 16th at 8:30 am. 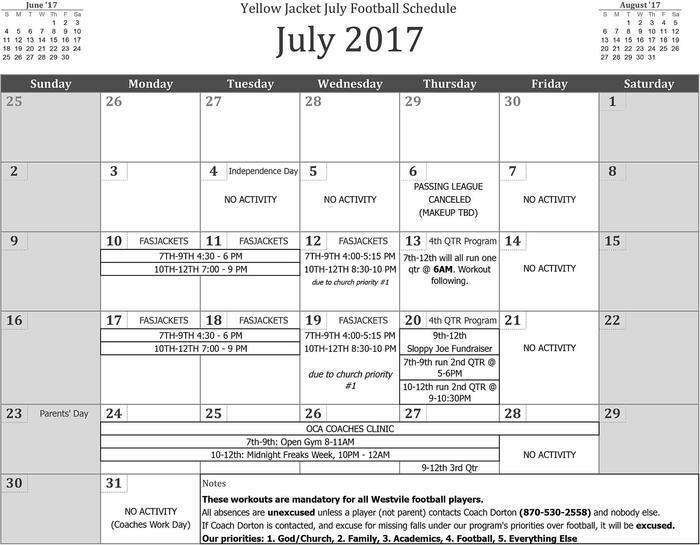 *Head Football coach will be here 7th hour to meet with 7th-11th football players for next year. We are still enrolling for Summer School! Enrollment forms are available in the Elementary Office for Pk-8th grades. It is with great sadness that we grieve the loss of Aleah Adair, one of our Westville Junior High School students. This is a devastating loss to our entire district community. The 7th-8th grade students were assembled and notified today (Thursday). Grief counseling has been made available to those who are in need. Our school family extends our deepest condolences and prayers to the families and friends of Aleah and all who are affected by this tragedy. Camp Cherokee will be June 6th-9th if your students are interested in attending sign up forms must be turned in by May 12th. More information is available on the school website. School will be canceled tomorrow, May 1st due to the weekend flooding. 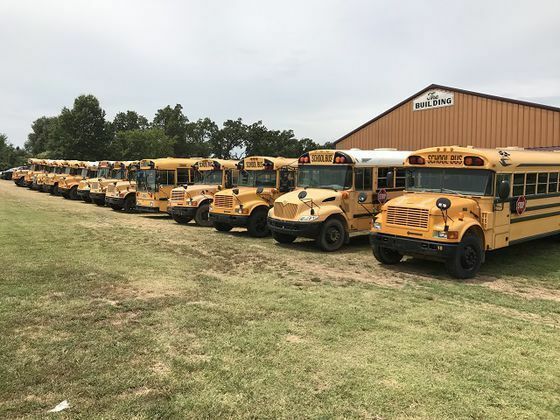 This will allow the county more time to work on the roads to make sure our students and bus routes are safe and for those affected by the floods to clean up. We had one more day built in to the calendar so we will not have to make this day up. Track regionals have been postponed until Monday. Congratulations to our baseball team. District Champs 2017!!! EDITED - Time Change Due to weather conditions, the baseball district tournament originally scheduled to be held at Westville on Thursday, April 27th has been moved to Kansas, OK. Game 1 will start at 3:00 pm and Game 2 will follow after the completion of Game 1 at approximately 5:30 p.m.
A story about how budget cuts are affecting our schools will air tonight at 10 pm on KTUL channel 8. Mr. Heustis and Mr. James Wade, our teacher of the year will be commenting. To show appreciation to our staff and students, we are canceling school the next two Fridays (April 28th and May 5th). Enjoy your days off!! Summer School Enrollment Forms are available on the website and in the Elementary Office for current PK-8th grades. Due to the weather, we are cancelling the community Grand Entrance for prom tonight. The prom doors will open at 8, and the student entrance is still in the HS lobby. Westville student, Madison Hanvey did an outstanding job singing the National anthem at the State JOM conference. Way to go Madison! Blood Drive Today - American Red Cross, Monday April 10th, 8:15-2:15 Westville High School Gymnasium. PROM 2017 tickets are now on sale! The cost per ticket is $25, and may be purchased from Mrs. Sprick. Those who purchase their tickets by April 7th will automatically be put in a drawing for several prom themed prizes such as a free corsage and boutonniere, free guys’ haircut, nails, a month of free tanning, and a gift certificate to Callahan’s Steakhouse! DEADLINE TODAY - SENIORS: The Masonic Lodge Scholarship application is available. See Jodi Simmons for an application, deadline is March 23rd. 3/9/17 - Parent/Teacher conferences will be held tonight from 4-8 p.m. and tomorrow 9-11a.m. Report cards for students 7-12 may be picked up from the English teachers. Pre-K enrollment for the 2017-18 school year will be held on Thursday, March 9th from 9:00 a.m.-8:00 p.m. To set up an appointment please call the Elementary office at 918-723-3351. Spring Picture order forms will be due on Wednesday, March 8th! Make plans to join us for the annual 21st Century Family Fun Math Night on Wednesday, February 28th from 5-7pm. We will enjoy an evening learning new games and fellowship with other families. Refreshments will be served! The Varsity Basketball teams will play the first round of the Regional Tournament on Thursday February 23rd vs Keys. Girls will start at 1:30 and boys at 3:00 at the Tahlequah Sequoyah Gym. Concerning our home bb game this Friday vs Vian, please see the following rules from the OSSAA. This IS a playoff game, so we must follow their procedures. Admission: $5 per adult, $5 K-12 students Passes: OSSAA PLAYOFF PASSES will be the only pass accepted, as well as players, cheerleaders (in uniform), game workers, officials and administrators. Any teachers or coaches MUST have a Playoff Pass. OCA, DFY, Season Passes, etc WILL NOT be accepted. 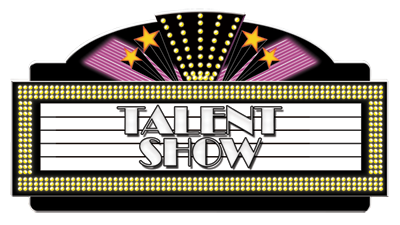 The Talent Show prelims and finals will be held on Thursday, February 16th. Westville Schools will be closed Thursday and Friday due to the significant numbers of illness among students and staff. 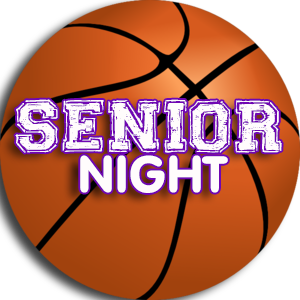 Senior Night for Basketball - TONIGHT, February 7th vs Hulbert. Recognition will begin at 6 pm. Girl's game tips off at 6:30pm. 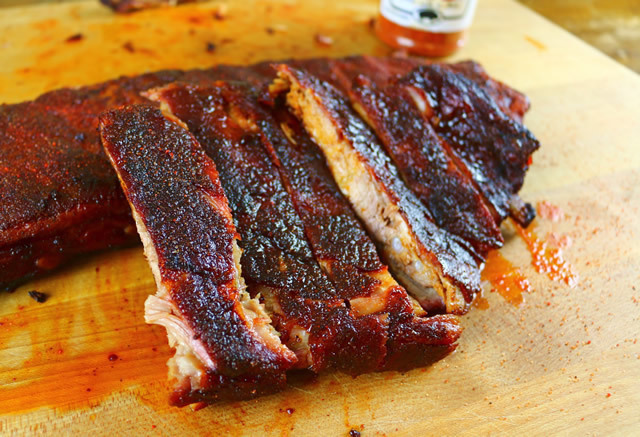 Smoked Ribs for your Super Bowl weekend!! We ordered extra. First Come, First Serve - behind the gym on Saturday until 5 p.m. or until all are gone. $20 per rack to benefit the baseball team. Call Chris at 479-283-1959 if you need additional info. The 9th basketball games here vs Warner scheduled for Thursday, February 2nd have been cancelled. We are currently experiencing some phone issues. If you call the main number and get no answer, please hang up and try again. We are working on the problem and hope it is resolved soon. TODAY - 1/30 - The 8th boys will play at Fayetteville Christian starting at 5pm. JV girls and boys to follow. Reminder for all students - Tomorrow (Monday, Jan 30th) is the daytime school performance of the junior play. Admission is $1 for students. The Jacket basketball teams split games tonight with Vian. The girls came away with the win while the boys came up short. There will be 2 JH basketball games here tomorrow. (Thursday, Jan 19th) Girls and boys 8th grade starting at 5pm. Basketball will have their Senior Night February 7th vs Hulbert. It will begin at 6pm. Girls game tips off at 630pm.